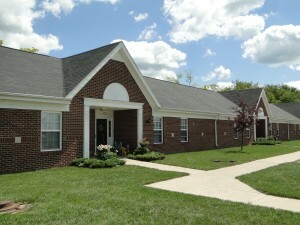 Stonegate Apartments features 62 one and two-bedroom apartment homes in a quiet, peaceful setting. Conveniently located next to Western Wayne Elementary school, Stonegate Apartments features rents ranging from $500 to $660 per month. Our apartment homes feature fully equipped kitchens including range, refrigerator, dishwasher and garbage disposal. All units have washer and dryer hook-ups and each unit has either a patio or balcony. The property offers 24-hour emergency maintenance and a friendly management staff ready to help.